Overlooking the Hudson River on the campus of the United States Military Academy at West Point are 12 granite benches, each inscribed with a word representing a key leadership virtue: compassion, courage, dedication, determination, dignity, discipline, integrity, loyalty, perseverance, responsibility, service, and trust. These benches remind cadets of the qualities that lead to victory and success, not just on the battlefield, but in all of life. 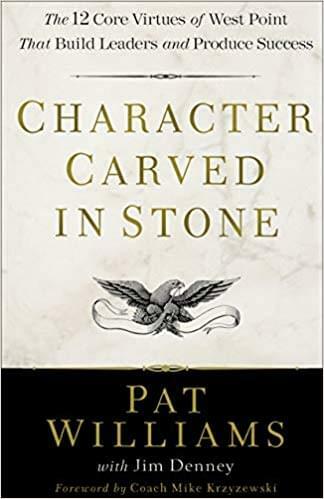 With his signature enthusiasm and insight, Pat Williams shares the incredible stories of West Point graduates who exemplified these traits, from the Civil War to the War on Terror. He shows readers of all backgrounds how to develop these 12 essential virtues in their lives, whether they are in the corporate world, the academic world, the military, the church, or in some other sphere. PAT WILLIAMS is a basketball Hall-of-Famer, currently serving as co-founder and senior vice president of the NBA’s Orlando Magic. As one of America’s top motivational speakers, he has addressed thousands of executives in organizations ranging from Fortune 500 companies and national associations to universities and nonprofits. Clients include AllState, American Express, Cisco, Coca-Cola, Disney, Honeywell, IBM, ING, Lockheed Martin, Nike, PriceWaterhouseCoopers and Tyson Foods to name a few. 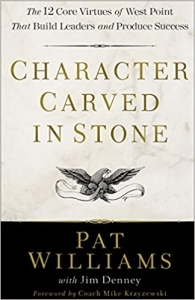 Pat is also the author of 100 books, his most recent title highlighting the secrets to peak performance in HUMILITY. 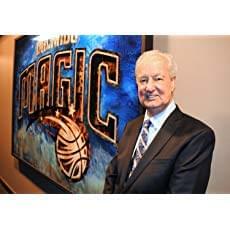 Since 1968, Pat has been in the NBA as general manager for teams in Chicago, Atlanta, Philadelphia—including the 1983 World Champion 76ers—and now the Orlando Magic, which he co-founded in 1987 and helped lead to the NBA finals in 1995 and 2009. In 1996, Pat was named as one of the 50 most influential people in NBA history by Beckett’s, a national publication. In 2012, Pat received the John W. Bunn Lifetime Achievement Award from the Naismith Memorial Basketball Hall of Fame. Pat has been an integral part of NBA history, including bringing the NBA to Orlando. He has traded Pete Maravich as well as traded for Julius Erving, Moses Malone, and Penny Hardaway. He has won four NBA draft lotteries, including back-to-back winners in 1992 and 1993. He also drafted Charles Barkley, Shaquille O’Neal, Maurice Cheeks, Andrew Toney and Darryl Dawkins. He signed Billy Cunningham, Chuck Daly, and Matt Guokas to their first professional coaching contracts. Nineteen of his former players have become NBA head coaches, nine have become college head coaches while seven have become assistant NBA coaches.